Comment: All-the-rage color in Diamond these days. Here in an affordable big Zircon. Inclusions are visible only under the lens (or under the magnifying camera). 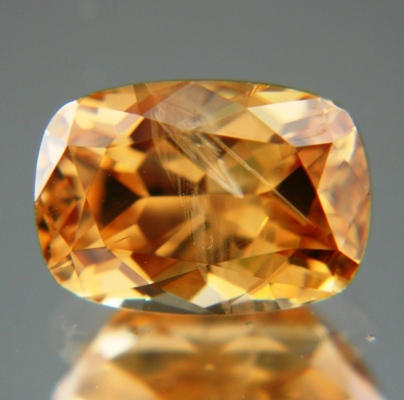 Elegant mature, not pushy, gemstone character. Typical high Zircon fire.